In 1948, Hugh Burns Hay, a decorated Second World War navigator returned to university to finish his medical degree. As a part of his studies, he requested sixteen pilots' files from the RCAF in an effort to identify 'accident proneness'. Generously illustrated, Quietus: Last Flight offers a unique insight into war on the Home Front in Canada, as well as a glimpse into post-war aviation research. 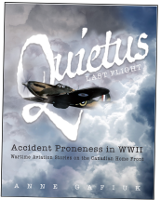 Published by the Bomber Command Museum of Canada, Quietus was released November 8th, 2017 at Owl\'s Nest Books. Please visit my FaceBook page for more info. 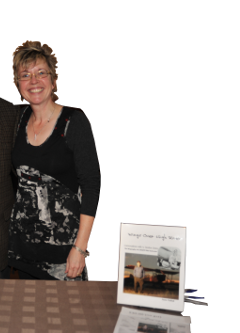 Owl's Nest Books 815A 49 Ave SW, Calgary, AB T2S 1G8. 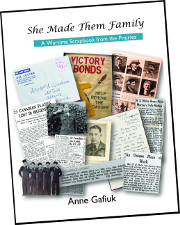 She Made Them Family: A Scrapbook from the Prairies , is a collection of letters, photos, anecdotes, magazine and newspaper clippings from The Second World War compiled by Mrs. Alice Spackman, Okotoks, Alberta. 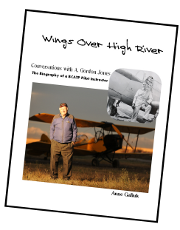 Gordon Jones trained and later bacame an instructor as part of the British Commonwealth Air Training Plan (BCATP) at High River, Alberta during WWII. COPA Magazine ... "delightful, yet compelling"
... A 'Pre-Review' is here.